When you’ve been working for yourself for a little while, you soon come to realise that doing your job is just half the battle. Since setting up on your own you’ve become an accountant, marketing guru, sales representative and errand do-er. What you might also find yourself having to face, is the prospect of carrying out HR duties on top of all that. How to automate Adwords optimizations was one thing, when it came to becoming a Ninja-like marketing expert, taking on the hiring and firing of staff seems like an altogether greater challenge. And yet, it can be done, and you can be the one to learn to do it. 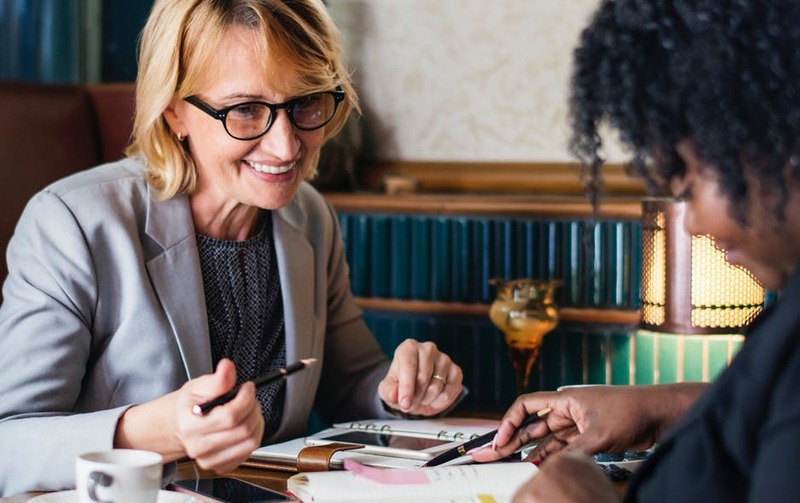 We take a look at some of the skills, tips and tricks you’ll need to take your business to the next level when it comes to taking on, training and getting the most out of staff. When it comes to interviewing and hiring staff the real secret is simply being organised and doing enough research into your job role and person specification that you know exactly who’s going to be a great fit. With those two elements firmly in your mind and clearly communicated in your job advertisement you’ll have your pick of dream candidates queueing up at your door. Be open-minded and look for personalities that give a little added value to your position. No one said you’d make a natural manager but if you’ve had a boss in the past, chances are you have a good working idea of what works and what doesn’t. There’s a difference between a good manager and a great manager and that difference is the desire to see your staff grow and exceed even above their own expectations in the role you’ve placed them in. When you realise that your staff are indeed your greatest asset, you’ll find better and more relevant ways of investing in them, whether through external training courses or in-house schemes. A great manager has good communication at the heart of everything they do whether that’s issuing clear and precise instruction or explaining the corporate goals of the organisation, your communication skills will act as a gateway for two-way conversation and set a great example. Managing people is as much about your qualities as a leader as it is about their ability to do the job. A great leader will make time to listen to employees and take on board any suggestions without it damaging their ego or pride when a great suggestion is put forward. Instead a great leader will recognise an employee’s achievements and adequately reward them for it. There are times, of course, when you will need to let staff go and that can be tough. Before you go to the ultimate act of terminating their employment there are several steps you’ll need to take first before you can fire them. You will need to have a frank and honest talk with your employee about their performance and flag up your concerns. Then you’ll need to get some kind of performance improvement plan in place with clear goals and a timeline that sets out what kind of changes they’ll need to make to their working practice and by when. Only after you’ve given them every chance to show a marked improvement and they’ve failed to live up to their side of the agreement can you go down the dismissal route. While it’s tough for an employee there are times when it’s necessary and as a manager you’ll need to spend some time figuring out what went wrong and ask yourself if you made a bad hire or if there were external reasons for the decline in performance. Learning lessons is a vital part of the process and will help you avoid making the same mistakes in future. Like marketing, PR and selling, your HR skills can be learnt, honed and polished with a mixture of research, practice and experience. No one said setting up on your own would be easy and you might not have expected that you’d be taking on so many more skills, but you have and what an achievement. Read around your favourite business and lifestyle bloggers to get the best advice and ideas on how to be an effective leader. With just a little practice, you’ll soon see your business grow from strength to strength with a great team behind you who share your vision and business goals and who flourish under your great leadership.